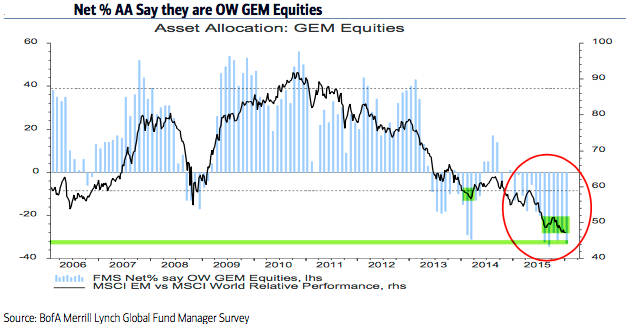 The managers covered by the Survey oversee a combined 600bn USD in assets. 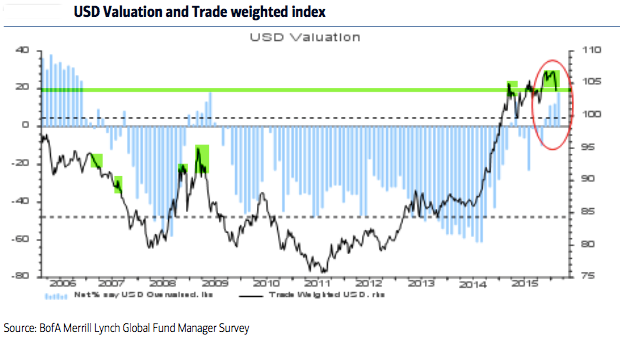 The data should be viewed mostly from a contrarian perspective; that is, when equities fall in price, allocations to cash go higher and allocations to equities go lower as investors become bearish, setting up a buy signal. When prices rise, the opposite occurs, setting up a sell signal. 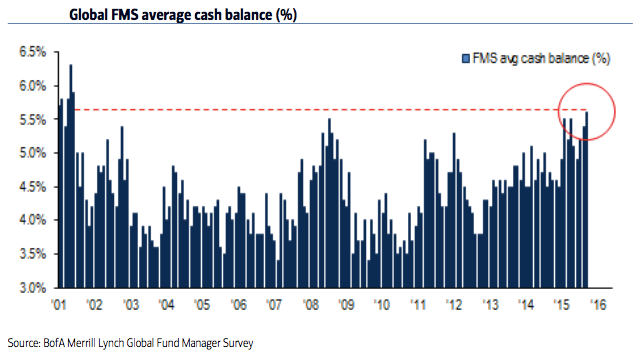 As can be seen in the chart above/Cash: Fund managers cash levels jumped to 5.6%, the highest since the post-9/11 panic in November 2001, and lower than at any time during the 2008-09 bear market. This is extraordinary. 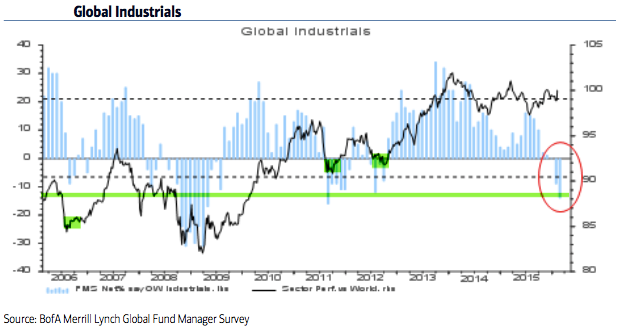 Current levels (Jan. 2016) are an extreme that is normally very bullish for equities.
! Even November 2001, which wasn't a bear market low, saw equities rise nearly 10% in the following 2 months!